Turkish Airlines sale from Europe to worldwide destinations £220 / €235! 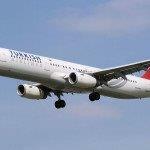 Turkish Airlines sale from Europe to worldwide destinations from £220 / €235! Turkish Airlines, awarded as best European airlines 6th time in a row (2011-2016)., has just launched an interesting global sale from Europe to various worldwide destinations in scope of this carrier. At this moment you can book greatly discounted flights from main airports in the UK. (London, Manchester, Birmimgham, Edinburgh). Dublin, Scandinavia. Sofia or Riga to Dubai, Bangkok, India, Vietnam or Johannesburg from €235. Also to exotic destinations such as Uganda, Seychelles or Madagascar. Travellers looking for a destinations off beaten track may consider fairly priced flights to Nigeria. Fare is for a roundtrip ticket and inclusive of all taxes and fees, in-flight meals and checked bag. Enjoy this latest discount offer with Turkish Airlines and book cheap flights to cities in Asia or Africa with a Star Alliance! If interested in this latest Turkish Airlines promotion then look for flights in travel period from 19th of September to 11th of December 2018 or 9th of January to 15th of March or 1st of May to 10th of June 2019. Blackour period around Christmas holidays. Discount applies to bookings made till 24th of September or until the cheapest tariff is sold out. Some of the flights may require longer layover in Istanbul on your way. Turkish Airlines is one of the carriers offering free transit hotel when transferring via their main hub. More details here. Travel dates vary by each of the destination. Quickest would be to compare here at Turkish Airlines website. You can save additional 15% using this Turkish Airlines promo code. (Book via mobile). Booking sample of latest promotion based on Turkish Airlines sale from Europe to worldwide destinations from £220 / €235! In this case you would depart from Riga to New York, USA on 14th of November. Your return flight from this country in North America back to Europe would be on 26th of November 2018.